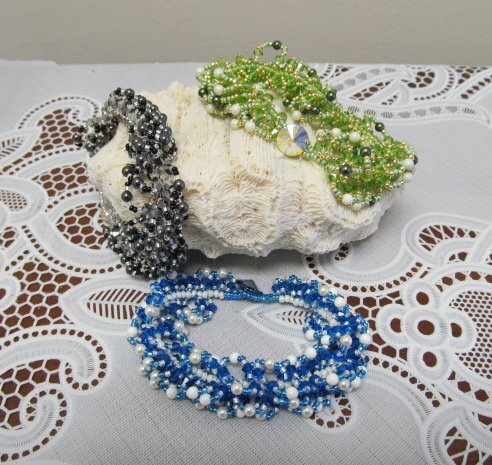 11/15 Twist of Sparke Bracelet - Bloomin Beads, Etc. This is a twist on the Spiral Bracelet, that has beautiful Swarovski pearls and Preciosa bicones. The spirals are intentionally long and they move causing lots of sparkle when you wear it.